Marcos Salazar is a social entrepreneur, career + life coach, consultant, speaker, and community builder. His passion is providing people with the tools, resources, and support to build purpose-driven careers, business, and lives that are financially successful and make the world a better place. He does this through 1-on-1 coaching, nonprofit and businesses consulting, and on a larger scale as Co-founder + Executive Director of Be Social Change where he’s built the largest social impact community and professional development hub in New York City. Marcos earned a B.A. in Psychology from Amherst College as well as a Masters in Organizational Management and an Executive Leadership Coaching certificate from The George Washington University. 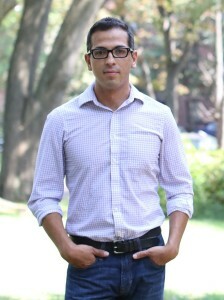 Marcos is a board member of the Young Professionals Nonprofit Network and an American Express Leadership Academy Fellow. You can learn more about him at www.MarcosSalazar.com.